Let sit for a week. The liquid will start to ferment, and a layer of mould will form on the top. 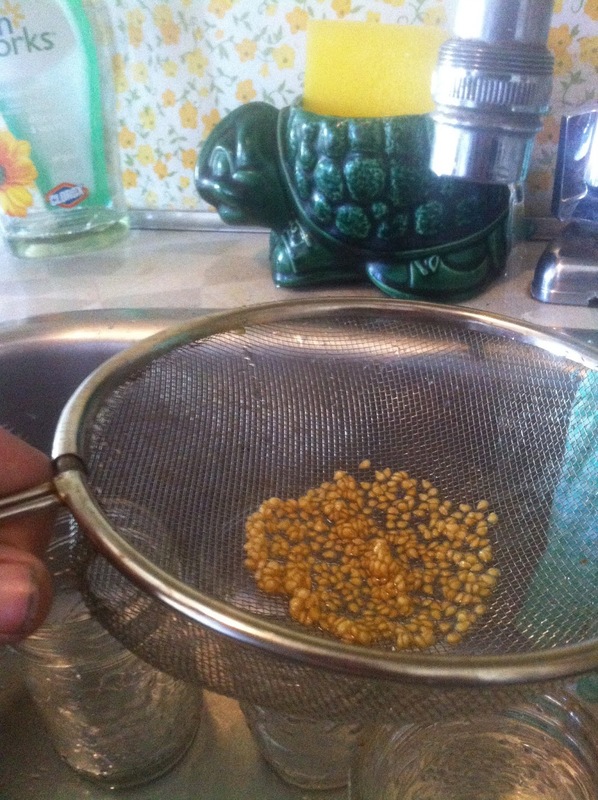 Add water, the seeds will sink and mould will float. Pour off the mould. Strain seeds. Set aside. Let dry on a screen. Store seeds in a dark, dry place in an envelope. Step #1 – Start with ripe, healthy heirloom tomatoes. 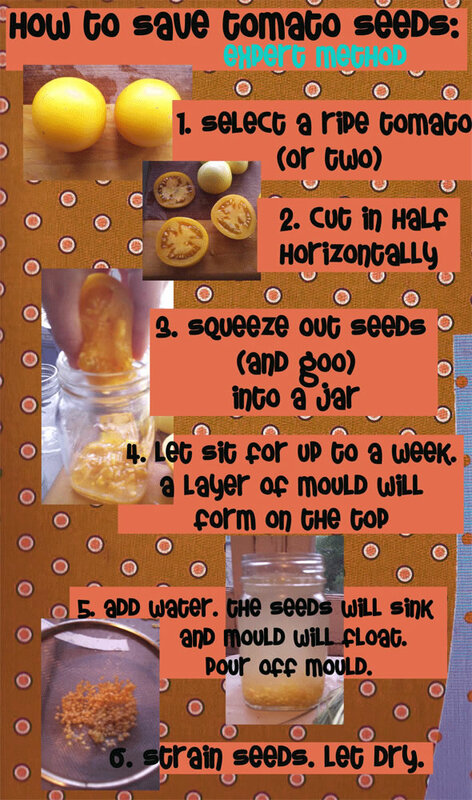 Step #3: Squeeze liquid including seeds, into a container (I use glass mason jars). You can set aside the remaining fruit to make salsas, soups, canned goods, whatever you like! Step #4: LABEL & set-aside. 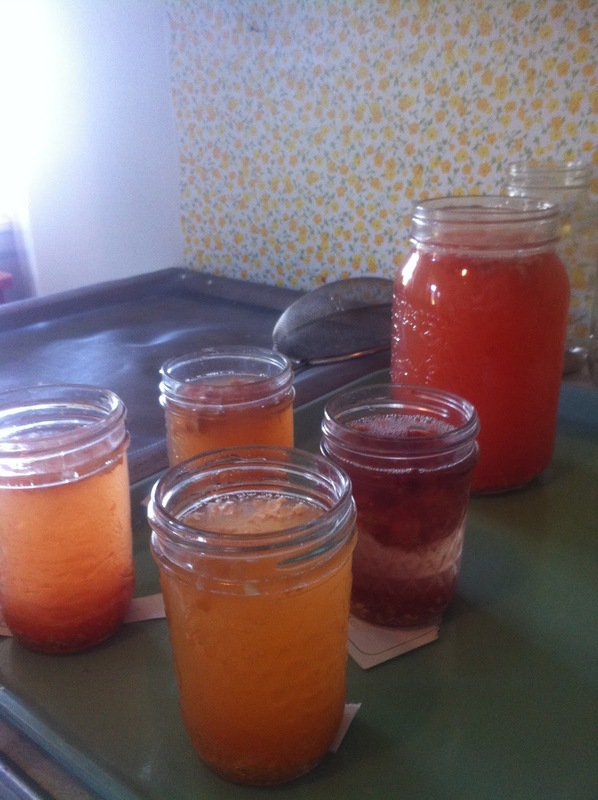 Let ferment for 4-7 days. The seeds will sink to the bottom, and mould float to the top. Step #6: Let settle. Pour off top layer of mould and water. Do not pour out seeds. Step #7: Let seeds settle. Repeat Step #6, until only clear water & seeds remain. I dry mine of a re-claimed baking rack. It works perfectly! up to my elbows in rotting tomatoes!! A set by step manual for sparing and putting away tomato seeds to begin or proceed with your product next season. Its simple sparing tomato seeds on the off chance that you have tasted a delightful tomato from companions or grown one in your own particular garden or nursery and you need to imitate or bear on growing them next season.